When the call came through asking if I would like to visit the Port house of Rozès I didn’t hesitate to accept. Rozès was a Port name I’d seen around quite a lot, yet I realised I knew very little about the company. Also, the invitation included a visit to their new vineyards in the ‘International Douro’, hundreds of kilometres from Oporto where Portugal lies on one bank of the river and Spain on the other. These represent a pushing of the boundaries in vineyard ownership for the traditional Port houses. Many Port shippers are, of course, in foreign hands. But unlike the famous British-owned names like Taylor or Warre, Rozès has had French ownership for 150 years, and since 1999 has been owned by the Champagne house of Vranken Pommery, who purchased it from LVMH. 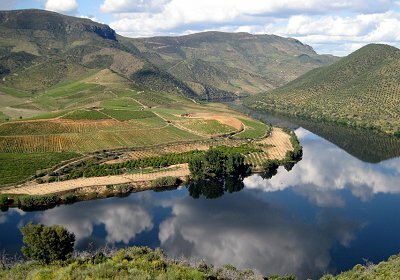 Vranken Pommery already owned the small Port company of São Pedro das Águias, and the two companies trade together from the same administrative, winemaking and storage premises in the Douro and Villa Nova de Gaia. The fit between Champagne and Port may not seem immediately obvious, but in fact the French have a huge appetite for Port, and France is a major market for all Port shippers, and certainly for Rozès. Vranken Pommery’s owner, President of the company, Paul-François Vranken, plays a very active role and visits Portugal regularly. The group has gone on to expand its interests with the purchase of several Douro ‘quintas’, or wine estates, and a substantial programme of vineyard planting. Indeed, to be so energetically buying-up quintas and planting vines is somewhat unusual for a Port shipper, in an industry that separates into over 80,000 small farmers and just a few hundred bottlers and shippers, in a very traditional ‘négociant’ model, where one group grows the grapes and the other makes and sells the wines. I met up with Rozès’ Winemaker and General Manager, Antonio Saraiva (left) to spend some time at the company’s Villa Nova de Gaia warehouse and winery near Régua, before travelling all the way up to the Spanish border, visiting various of the company’s nine quintas as we went. Antonio is a laid-back, relaxed character. A Port man through and through who was born in the village of Pinhão, the epicentre of production, he has overseen the company’s expansion. Antonio says he is determined to respect tradition, whilst continuing to innovate. Even in the upper Douro only indigenous grapes are planted, yet at the same time some radical new ideas on packaging and presentation have seen a big break with tradition. I have to say it is quite unusual to visit a Port shipper that pays quite so much attention to its vineyards. Whilst the quality of grapes is no doubt of vital importance to all the best houses, the simple fact it that most trips to visit the shippers concentrate on the winemaking process and ageing of the wines, with relatively little focus on the vineyards. First stop was at Quinta Monsul (1, in map below), a small vineyard and sited next to the Rozès winemaking facility in the village of Cambres, close to Régua. The winemaking facility is dazzling, almost literally: it is one of the most scrupulously hygienic faculties I have ever come across. 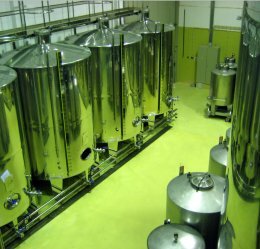 The vinification cellar, floors painted an almost fluorescent green so that even the tiniest spillage of wine is obvious and immediately dealt with, bristle with the latest technology amid signs of obvious investment and huge attention to detail. Though they did operate a second winery high in the Douro at the Quinta do Grifo, all production is now centered here, for the company’s two-million-bottle annual production. 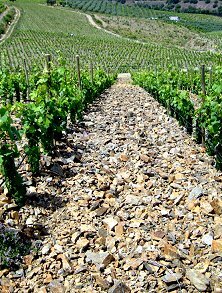 The vineyards here is in the Baixo-Corgo, which is not of the highest designation, and contributes less than one per cent of Rozès’ production. After a relaxing and enjoyable evening spent in the Quinta, we set off on the long drive up the Douro to the Quinta do Grifo (2, in map below), the trip broken by a superb lunch at the restaurant D.O.C by the river at Folgosa – which is highly recommended. Grifo is named after the huge vultures which inhabit this remote and ruggedly unspoiled part of the upper Douro, in the heart of the International Douro Nature Park. The estate is 41 hectares, 25 of which consist of terraced vineyards with the highest ‘A’ classification. This is the Douro Superior, the third of the three demarcated areas for the production of Port wines and, increasingly, Douro table wines. An aggressive programme of planting has seen the vineyard area of the Grifo estate more than double already, with plans to expand further. Interestingly, a substantial amount of the planting is of Sousão, a recognised Port variety, but one that is increasingly rare as more and more producers concentrate on a handful of varieties from more than 80 that are permitted. Rozès are excited about Sousão, and confident that it is one of the best varieties for their soils and climate in the Douro Superior. Certainly a barrel sample of their Sousão-dominated Grande reserve Douro table wine was deeply fruity, smoky and delicious. After a morning spent viewing the magnificent Grifo as they make full use of their 2.3 metre wingspan to soar lazily on the thermal currents above the Douro River, we began the long drive back to Oporto, with side trips to see the two most recent Quintas acquired by Rozès, Quinta de Anibal and Quinta da Canameira. Again, their is a massive programme of replanting here, with both estates on wonderful sites, with deep layers of schist tumbling down to the river. There are substantial plantings of orange and lemon trees too on the farms, but the expansion of the vineyards higher up on the slopes has been a major work. The photograph left shows the new plantings at Quinta da Canameira on the far bank, but doesn’t capture the steepness of the slopes – very different when seen from the ground. Having been founded by Frenchman Ostende Rozès in 1855, and remaining in French hands ever since, the style of Rozès’ Ports is distinctly different from both the Portuguese- and British-owned houses. The wines tend to be lighter, quite restrained, but with finesse and charm. No matter how concentrated, there is an elegance and freshness to the wines. Is that part of the French influence, or a style created by these vineyards? It is difficult for me to say, but my few days spent in the vineyards with Antonio Saraiva convinced me that these are wines with integrity, and well worth seeking out. Much more aromatic, with fresher, orangy, tang, though still plenty of fruit. There is oak too, with a nutty, vanillin background. The fruit just has that extra dimension of vibrancy. 50% Viosinho plus Malvasia and a little Verdelho. 87/100. Served at a nicely chilled temperature, there is an aniseedy, lightly marzipanny quality. The palate bursts into life with tight, fresh, racy black fruit with black cherry and a touch of background smokiness, and a lovely edge of racy, liquorice and cherry skin crispness. Made from Touriga Nacional, Touriga Franca and Sousão. 87/100. Barrel sample of a Sousão-dominant blend. Fantastically deep, meaty, smoky nose with plenty of rich, full cherry and plum fruit. Nice notes of smokiness and grilled meats. Palate has plenty of sweetness and robust, chunky tannins. Sells for around 16 Euros approximately. 88/100. 80% Touriga Nacional, 20% Touriga Franca . Lovely, light, crisp, fragrant rose-hip and raspberry rose. Dry, fresh and curranty, retaining plenty of crisp acidity and lemony bite. Lovely food rose. 86/100. Air-dried, late-harvest Malvasia, aged in Acacia barrels. Lots of delicate honey on the nose, with lemon and just a hint of something oatmeally. On the palate, delightful, jasmine tea flavours with beautifully sweet, tangerine and fragrant, light nectarine flavours. Lovely acidity, with a shimmering lemon core and good length. 89/100. 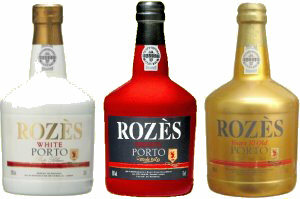 The UK agent for Rozès’ Port wines is Justerini & Brooks. Barrel sample. Lovely silky, pure black fruit quality with a fine, floral character too. 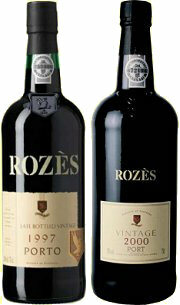 Palate has real intensity and richness, with very fine, concentrated red fruits. Good chocolaty depth to the tannins and very good balancing acidity. Good balance and length. Will have to see if Port Wine Institute approves, but Rozès would like to declare as a vintage, but very fine potential. 92/100 potentially. Barrel sample. This vintage already approved by PWI. Real fleshy, meaty, plumy, but lacks the charm of the 2007 sample, with less of the florality, but plenty of chocolaty, rich fruit. Nice balance on the palate, and has lovely sweetness, but just lacks that precision and length. Decision still to be taken, but possibly not to be released as a vintage. 89/100. Tight, fleshy, nicely muscular and dense, with nice little glimpses of kirsch and baked plum pie. The little floral notes come through, and the palate has silky red fruits, with very good, smooth tannins and a good weight and texture that is very harmonious. Juicy. 91/100. Schisty and herbal nose, with a keen black berry fruit character. Nice crisp, crunchy character. Palate has a big, fairly straightforward juicy cherry skin fruity acidity and lots of blueberry and silky cassis-like black fruit. Fine, though lacks a little complexity. 90/100. Quite leafy and vegetal aromas, with a touch of mouldy character. Beneath there is brown sugar and cocoa richness and sweetness. On the palate it is quite fresh and bright, with a cherry fruit and nice bittersweet chocolate and liquorice notes and fine tannins. That tiny vegetal note persists and detracts slightly. 87/100. LBV is always unfiltered since 2000. Needs some aeration, but nose begins to open very slowly, showing some bright, kirsch-like fruit and a background of herbs and tarry notes. The palate comes through with sweet, full fruit, and a delicious bright, creamy, cherry and raspberry quality. Bold and tangy, with plenty of spicy length and fruit. 89/100. Really rich, vanilla and almond nuttiness to the nose, with a really plush depth of fruit. Vinous and ripe, and onto the palate has a lovely sense of harmony and completeness. Currants and raisins, and that brightness of raspberry, with a slick of black chocolate adding silky depth. Delicious stuff this, that is drinking beautifully. 91/100. The next three wines are of an innovative range, aimed at enticing younger drinkers to try and hopefully enjoy, quality Ports in decidedly different packaging. Whilst I have reservations about this packaging, General Manager Antonio Saraiva says it is proving very popular, and that some people are pouring wines like the “Red” over ice. The wines are very good – and the “Gold” is a fairly serious 10-Year-Old tawny, so if the packaging can lure a new generation of Port fans, who am I to argue? 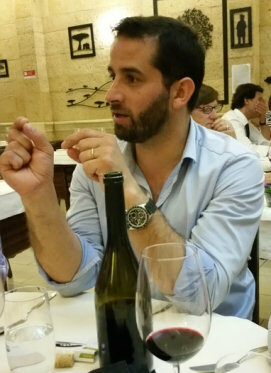 A Ruby Reserve includes large proportion of declassified vintage and LBV, and Antonio stresses a premium product. Quite leafy and herbal at first, with raspberry fruit coming through – becomes very creamy, with good red fruits. The palate has a lovely richness and creaminess, with less complexity, and slightly more alcohol. 86/100. Rozès ‘White’ Port Tawny colour that starts life as a white Port, with minimum of 7 or 8 years in oak. Lovely orange and nutty notes, with a lemony quality coming through. Palate has some mellow, smooth, vanilla and nutty flavours, but the fruit is still quite sweet and ripe, with a lemony acidity coming through. Very nice balance between crispness of an aperitif white Port and a nutty tawny. 87/100. Lovely rich, ripe, very alluring depth of marmalade and nutty aromas. Very fine notes of leaf tea, toffee and creamy red berries. The palate has that raisined, Moscatel grape and sultana richness, with a big chocolaty background that is smooth and full, and has lovely persistence. The lemony acidity melds nicely with the vanilla and nutty spices, in a very nice Port. 89/100. Much darker, old varnish colour than the “White”, with again 8 years or so of age. Some volatile notes, and sweetly vegetal fruit, with nutty and herbal aromas and a palate that has lovely mouth-filling plum flesh fruit and plenty of acidity and tannin giving real bite. The sweetness persists. 88/100. Older, more varnish and nutty aromatics, with more raisin and walnut than the orangy tang of the colour collection 10-year-old. Very nice fruit on the palate, with good sweetness and a much more mellow vanilla and spice character. Lovely length and balance of acidity. 90/100.